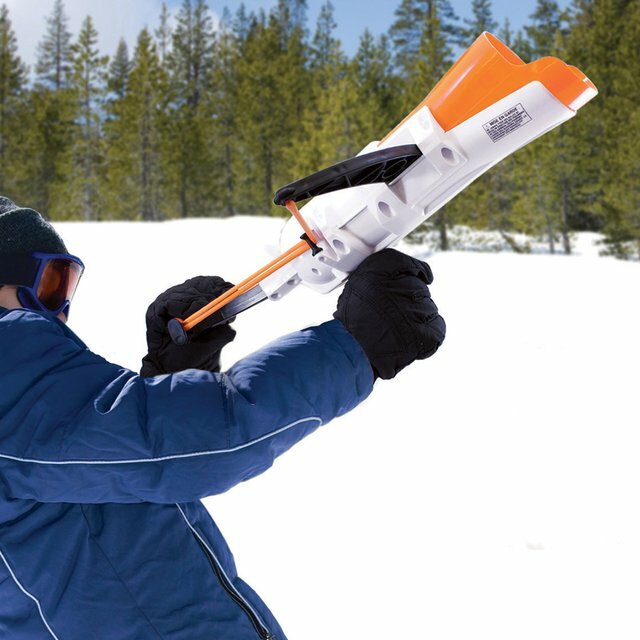 This Crossbow Snowball Launcher hurls snowballs up to 60 feet. Get prepared for Winter and your next snowball battle with friends and family. As Featured On The Today Show on February 19, 2015! The slingshot style design is ergonomic and easy to use. The snowball launcher measures 17.5 inches long by 14.5 inches wide by 4.5 inches high and folds up for easy storage. Includes vinyl target for practice.